WooHoo!! Get a FREE Papa John’s Pizza when you place an online order of $10 by July 15th. 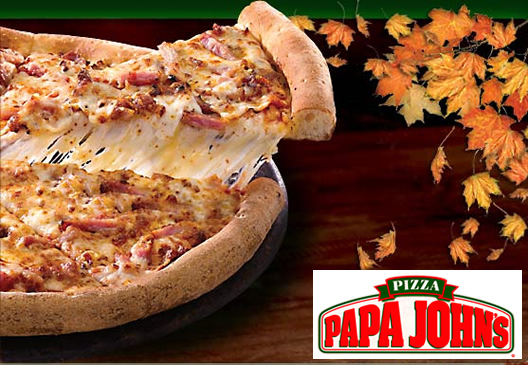 Our family LOVES Papa Johns – and I really love FREE Papa John’s Pizza!! Want FREE pizza? Visit Papa John’s Facebook page via your personal computer and click on one of the FREE PIZZA OFFER tabs. Place a $10 minimum online order and your next pizza is on Papa, thanks to a 25 Bonus Point deposit into your Papa Rewards account the day after your purchase. Remember, to participate in the promotion, you should access Facebook from a personal computer, and you may be required to disable your pop-up blockers. Promo is valid for one use only per Facebook account. Promotion is not valid for use with other promo codes. Promotion can be used with an eDeal. This offer is only good through July 15. Don’t forget to “Like” Faithful Provisions while you’re there!